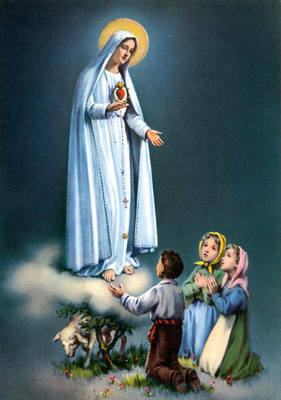 Our Lady of Fatima asked us to make the First Saturday Communion of Reparation to Her Immaculate Heart. Her promise: "I promise to assist at the moment of death, with all the graces necessary for salvation, all those who, on the first Saturday of five consecutive months shall confess, receive Holy Communion, recite five decades of the Rosary, and keep Me company for fifteen minutes while meditating on the fifteen mysteries of the Rosary, with the intention of making reparation to Me." 1. Against her Immaculate Conception. 2. Against her Perpetual Virginity. 4. By those who try to publicly implant in the hearts of children indifference, contempt, and even hate against the Immaculate Mother. After Adam and Eve had eaten the forbidden fruit, it seemed as if the devil had gained a victory against God. Here were two creatures created perfect, given a paradise in which to live but had disobeyed the one command God had given them. Yet God’s plan cannot be thwarted; He does not give up on humanity. He says to the serpent, “I will put enmity between you and the woman, between your offspring and hers; she will strike at your head while you strike at her heel.” Our Heavenly Father had in mind a woman, one who would be without sin, who would be at total enmity with the devil. She would be the one who would bring forth the Messiah to conquer sin and death. For her to be at enmity, she would have to be without sin, for the first woman had given into sin. Over four thousand years later, God sends the Angel Gabriel to this woman; he addresses her, “Hail, full of grace”. Mary was given this great grace of the Immaculate Conception in order to be a worthy dwelling place for God incarnate. It was not anything on her part but God’s pure gift. 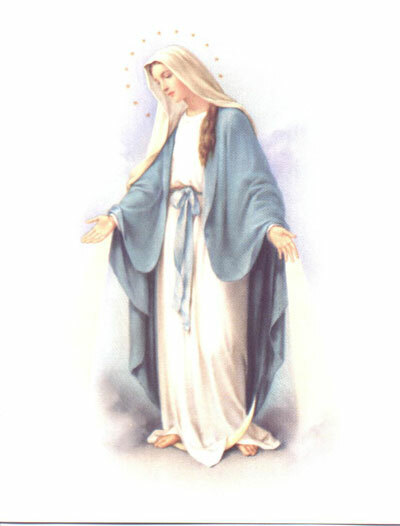 As Archbishop Fulton Sheen says, “When God became Man, I believe that He would make His Mother as nice as He could – and that would make her a perfect Mother.” The devil does not want us to honor Mary’s Immaculate Conception, this particular grace given to God’s Mother; here is a creature who has been untouched by sin, never in his grasp. Let us turn to our most pure Mother and seek her intercession in all things. Mary’s Immaculate Conception is the grace given to prepare her for her role as the Theotokos, the Mother of God. Yet, she is not only Jesus’ Mother, she is our mother as well. At the Cross, the fifth Sorrowful Mystery, He called her “Woman” a name that hearkens back to Genesis 3:15. This time her motherhood comes with much sorrow for we her children do not always accept her motherly love; we think that we can manage fine without her. Yet it was our sins that led Jesus to the Cross and it was there that she stood so faithfully. Our sinless Mother participates in the salvation of humanity; we are called to make reparation for sins against her Immaculate Heart, especially attacks against her Immaculate Conception. This grace was secured for Mary in anticipation of the saving death of Jesus. Mary knew at the Cross that so many would still reject her son’s love as well as her tender motherly love. 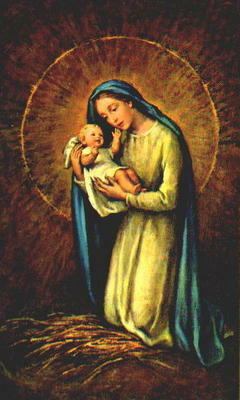 Mary, Mother of the Son of God and our Mother, immaculately conceived, and full of grace, remains perpetually a virgin. Given the singular grace of her immaculate conception, made sinless so as to bear the Son of God in her womb and bring Him to birth into the world, Our Lady offers herself to God pure, holy, undivided in love, untouched by man. When the Angel comes to her at the Annunciation inviting her to be the Mother of God, her response “How can this be since I know not man?” makes it clear that from the very beginning she has the intention of preserving her virginity. In the words of the Church Fathers: “the holy and ever virgin and immaculate Mary was really and truly the Mother of God. Inasmuch as she , in the fullness of time, and without seed, conceived by the Holy Spirit, God the Word Himself, Who before all time was born of God the Father, and without loss of integrity brought Him forth, and after His birth preserved her virginity inviolate.” This choice to remain as “virgin before, during and after birth” is why the Church can say of her that she is the Blessed Ever-Virgin Mary, Mother of God. Mary, the girl from Nazareth, guided by an exceptional inspiration of the Holy Spirit, chose from the beginning to live a virginal life so as to be pleasing to the Lord. She gave all of herself… body, mind, heart and soul without condition, a total gift of self. The desire of her whole being was to be all for Him and Him alone. We ask her to intercede for us so that God our Heavenly Father may preserve us in holiness, whole and entire, spirit, soul, and body and that we too may be irreproachable at the coming of Our Lord Jesus Christ. At the time of the Visitation, Elizabeth, moved by the Holy Spirit exclaims: “Most blessed are you among women, and blessed is the fruit of your womb. And how does this happen to me that the mother of my Lord should come to me?” With this proclamation, she makes known the fruitfulness that comes forth from the Woman who has chosen to place the gift of her virginity into the loving hands of the Father who cares for her. Mary, Most Holy, who intentionally offers herself so as to be for God alone, becomes the Virgin Mother bearing in her virginal womb the Son of God, the Savior of the world. Against her Divine Maternity, while refusing to accept her as the Mother of all mankind. The names with which Mary is addressed throughout the New Testament reveal to us her motherhood: she is the Mother of God and the Mother of the Church, that is, our mother. In the ancient Jewish world the name expressed the reality of the person: the identity and the mission. The first time Mary is addressed is by the angel Gabriel. (The angels are God's messengers, doing and saying only what God commands them to do and say.) The angel addresses Mary, "Hail, full of grace!" 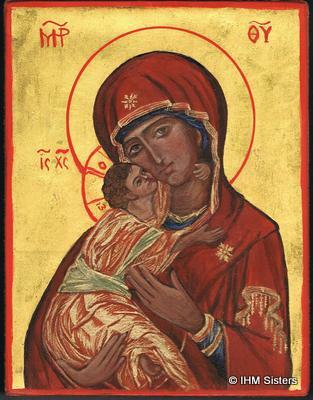 "'Full of grace' is the name Mary possesses in the eyes of God" (John Paul II, Theotokos, 88). Why has God given Mary this tremendous gift of grace even before the savior comes into the world? Precisely because Mary is to be the mother of the savior. Mary, from the first moment of her conception and from all eternity in the mind of God, was to be sinless so as to be a fitting dwelling place, an immaculate mother for the Son of God. As recounted to us in the second joyful mystery, when Jesus is merely a few weeks old in her womb, Mary goes to Elizabeth to help her aged and pregnant kinswoman. Scripture says that Elizabeth was filled with the Holy Spirit and greeting Mary with a blessing she continues, "Who am I that the Mother of my Lord should come to me?" Even before the birth of Jesus, Son of God and Son of Mary, she who was first hailed "full of grace" is recognized and proclaimed as Mother of God! As Mother of God it is her mission to bring Him to us. The third and fourth mysteries also firmly establish within our beliefs that Mary is the Mother of God. In the fifth joyful mystery, when Jesus is found in the Temple after three days, the mystery of Mary's motherhood begins to widen. Coming upon Jesus in the Temple. Mary addresses Him, "Son, why have you done this to us? Your father and I have been looking for you with great anxiety." She herself claims her rightful position; she calls him 'son' and couples herself with His legal father, Joseph. His vocal replay does not acknowledge the importance of this merely physical relationship (though we are told that He returned to Nazareth and was obedient to them). In fact, His vocal reply seems to be a rebuff. He answers, "Why were you looking for me? Did you not know that I must be in my Father's house?" Jesus is deepening Mary's understanding of His mission and consequently her own mission as well. He does not acknowledge the importance of the physical relationship, but He does point to His true Father. He is preparing her for the day in Cana and again from the Cross when He will address her as "Woman". As the "woman" of Genesis, who being at enmity with satan brought forth the savior that would crush the serpent's head, her mission is universalized and as the "woman" of Genesis, she, more than Eve, will be the mother of all the living. This reality was formalized at the foot of the Cross, when looking down on Mary and John, Jesus says, "Woman, behold your son, " and to John, "Behold your mother." Yes, Mary is our mother, too. By those who try to publicly implant in the hearts of children indifference, contempt, and even hate against the Immaculate Mother. Jesus was stripped of everything; His body was mutilated by the scourging and while those in opposition watched, he climbed the hill to Calvary and was nailed to the Cross. To some, Jesus seemed alone. Yet, Jesus was never alone: He is always united to His Heavenly Father and is one in heart with his Mother Mary. Even as He was nailed to the Cross, Jesus interceded to the Father for us and prayed, “Father, forgive them, they know not what they do” (Luke 23:34). Mary joined Jesus in this prayer; she does not want anyone to be separated from her Son. After three long hours of suffering, Jesus looked at those who were at the foot of the Cross, and seeing them and us, gave us the gift of His Beloved Mother. Through her intercession, may children come to know the love of their heavenly mother who most willingly offered her Divine Son for our redemption, and in turn may they grow in their love and reverence for their Blessed Mother. In His last words to his disciples, Jesus commended them to His mother, as their comforter and guide. She is one of His most cherished treasures, a gift beyond measure, and He wishes us to join Him in loving and honoring His Mother. Mary always brings us to Jesus. We see this with John, the beloved disciple who fled after Jesus’ arrest in the garden. But John returns with Mary and follows Jesus to Calvary. John, with Mary was able to faithfully stand at the foot of the Cross. Jesus wishes us, while holding the hand of our Blessed Mother, to pick up our Cross and follow Him in all the events of our life. “Jesus said, ‘Let the children come to Me, and do not prevent them for the Kingdom of Heaven belongs to such as these’” (Matthew 19:14). Mary never leads us astray. Let us reach out to those children deprived of the knowledge and devotion to their Blessed Mother and pray for increased devotion to Our Blessed Mother among all her children. By those who insult her directly in her sacred images. We would find it difficult to not have a picture of a loved one accessible to us, especially if that person is separated from us by distance. The image calls the person to mind and helps us to connect to him or her, though time and space keep us far apart. If these pictures were destroyed in a house fire, we would be devastated; if someone purposely destroyed them we would be outraged. This is the attitude Christians have when images of our Lady are destroyed and desecrated. Mary is our mother and we find great comfort in her image for it reminds us what Jesus promised us from the cross; she is a mother who loves us and watches over us. Our fifth Saturday is directed to making reparation for those who insult her directly in her sacred images. We seek to console the heart of Mary wounded by such hatred of her image and to draw these people into the love of a Mother’s heart. When God created the physical order, He declared it “good”; when He created man, male and female, He called them “very good.” After sin entered the world, creation did not lose its goodness; however, it did become distorted. When we view creation, we do not see it with the clear vision God wishes us to have towards it. When Christ came to redeem humanity, He took on our human nature in the incarnation; He came as one of us to lead us back to the Father. He shows us how to be human, how to treat creation. In His Resurrection and Ascension, He shows us what He has planned for redeemed humanity: a glorified body in Heaven. The body is good, created reality is good. The Old Testament prescriptions against making certain images were a result of fallen man’s tendency to idolize what he sees; not all images in the Old Testament were banned. As Christians we understand how images can lead us to honor our Savior who died for our sins and to revere His Mother who was a most obedient disciple. As we reflect upon our Lord risen and ascended into heaven, we praise Him for not setting aside His glorified body when he returned to the Father; every time we see a crucifix or an image of the Sacred Heart we are reminded of the goodness of our bodies, of creation. Christ has revealed this to us by taking on our human nature and taking that human nature with Him into heaven. When the Holy Spirit descended upon Mary and the apostles in the upper room, the early Church knew the importance of taking the Gospel to the ends of the earth. The faith was spread by word of mouth and the living example of the Apostles who had spent time with Jesus. After Jesus’ Ascension into Heaven, this faith continued to be encouraged and nurtured by the Blessed Virgin Mary. It was she who the Apostles gathered around during those uncertain days before the descent of the Holy Spirit, and she supported with a mother’s heart the early missionary work of the Apostles. The Apostles knew that they had Mary to help and encourage them on earth. John took care of Mary in Ephesus and, it is imagined, that Mary was present at the Council of Jerusalem when all of the Apostles gathered together to decide important matters for the nascent Church. As time went on, the early Christians faced persecution and had to go into hiding; they continued to express their faith as they were able. In the Catacomb of the cemetery of St. Priscilla, this faith was expressed in one of the earliest images of our Lady where she is holding Jesus on her lap. Pope John Paul II said, “In order to communicate the message entrusted her by Christ, the Church needs art!” The faithful need a way to express their love and devotion to God, our Blessed Mother and the Saints; also, it is a good reminder to us of the heavenly realities before us that we do not always see. Some people think that having religious images dishonors God but in reality He has made us with a connection to the physical world; he has even redeemed us by taking on a physical body. There is nothing wrong with using the things of creation to come back to Him. In response to the iconoclast heresy from the first millennium, the 2nd Council of Nicaea decreed that venerating images was good and destroying images was a sin. Let us follow holy Mother Church’s counsel and protect these sacred images and seek to make reparation for those who would harm them. At the conclusion of her earthly life, Mary was take up to Heaven body and soul. She is the eschatological icon of the Church; where she is we hope to one day be. We long to be with our Mother who has been crowned queen of Heaven and earth. She has reminded us frequently of her care and protection of us, especially when she comes to visit her children. One time in particular was at Guadalupe, Mary said, “Am I not here, I who am your mother.” In addition to speaking these comforting words to Juan Diego, she left her image on his tilma, one that has been miraculously preserved for nearly 500 years. This image shows a mother’s care and concern for she came as the native people. In the image, she expresses the truths of the faith and seeks to teach to all people the love God has for each of them. 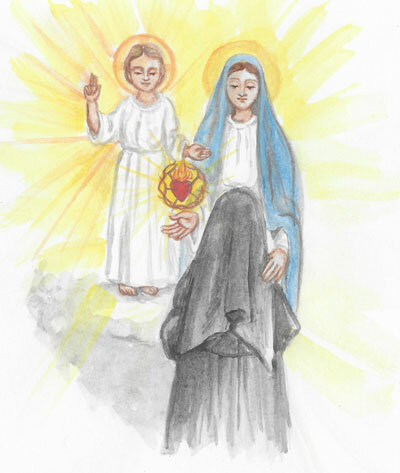 As we look at this image and other images of our Lady we cannot deny that she desires to draw us to her Son. These images helps us to draw closer to Jesus, Mary and the Saints. Let us pray for those who do not see Mary as their Queen and Mother and seek to destroy her image in the world; let us make reparation for these souls who turn away from a Mother’s love.